While Mike Olsen ’92 has dedicated his career to plant breeding across the world, his heart will always belong with his family and Bethel. Mike Olsen '92 with his wife Carrie Urheim '92. 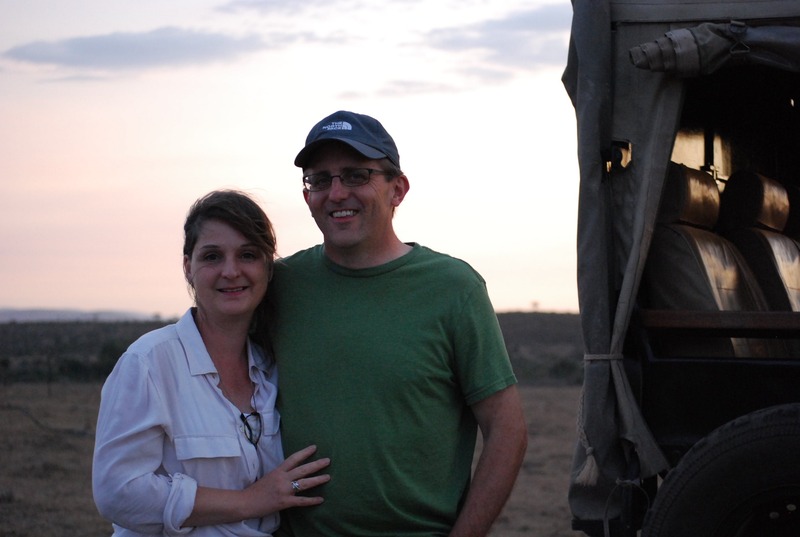 Two years ago, alone in his hotel room in Zimbabwe, Mike Olsen ’92 listened to an online sermon, and for the first time, he fully realized that God was pleased to love him exactly as he was. While this experience changed his perception of God and His love, this love was always something he knew conceptually, especially at Bethel. The summer between his freshman and sophomore year, when he was still 18, Olsen visited South Africa for a month with a group of fellow students. “As part of that trip and experience, I started to think about what it means to be a global Christian and what other avenues God might use someone to serve in a different capacity that I hadn’t really considered before,”Olsen says. During his time at Bethel studying biology, Olsen was taught and advised by C. Weldon Jones, who had a profound impact on him. In fact, Olsen says that because of Jones, he “fell in love with genetics.” Olsen then considered a career in agricultural missions. 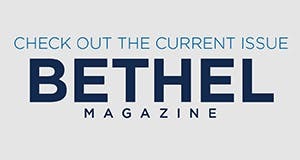 "What was then Bethel College and now Bethel University has played such an important role in shaping who I am and everything about my family and my calling. So, I just have a tremendous amount of gratitude for the institution and the people that were there and are there now. It’s just a wonderful place." As a student, Olsen met his wife Carrie Urheim ’92, and they married a year after graduation. While Olsen attended graduate school at the University of Minnesota for plant breeding and genetics, he and Carrie adopted their son, Hudson, from Vietnam. Three years later, while Olsen was working as a plant-breeder in the private sector, they adopted their daughter, My Linh, also from Vietnam. Within a few years, the man who had dedicated his career to genetics found himself surrounded by family members with genetic conditions. My Linh was born with Treacher Collins Syndrome and needed a number of surgeries throughout her childhood. Hudson was born with a genetically caused from of neurological difference, and Carrie has been fighting breast cancer with an underlying genetic basis for 15 years. In facing these challenges, Olsen has kept passages like Job 29 close to his heart. “It’s a beautiful depiction of who Job was as a person and who he aspired to be,” Olsen says. After everything had been taken from Job, he laments to God. Job compares who he used to be, as someone who would comfort mourners, to who he is now, as one who needs comfort. A number of biblical texts have influenced Olsen’s passion for social justice. “Isaiah 58, much of the chapter emphasizes God’s concern for the oppressed and the poor, and there is a promise in there that talks about light,” he says. “If you spend yourself on behalf of the hungry, God will lift your gloom and cause your light to rise in the darkness.” For someone affected at times by depression, this promise has repeatedly lifted Olsen’s spirits, especially as he works toward poverty reduction and food security for resource-poor maize farmers and consumers. "The product of efforts in Africa put a few dollars in millions of farmers’ pockets every year. It’s hard to say how it impacts one person or one family, but across the continent, literally tens of thousands of metric tons of improved seed is reaching farmers and producing a better harvest with whatever inputs they can afford, what they can produce for their labor." In 2012, the International Maize and Wheat Improvement Center, known by their Spanish acronym CIMMYT, offered Olsen a job, though he’d have to relocate his family to Nairobi, Kenya. After weeks of prayer and discussion, the family decided together to go. Olsen joined the Africa maize breeding effort as the Upstream Research Coordinator for the Global Maize Program, where he collaborates with fellow scientists to make breeding processes more efficient through technological innovation and application of modern methods. Olsen also works within public-private partnerships to help enable capacity development and to bring cutting edge technology to African crop improvement communities. Additionally, he is contributing to the leadership team of the Excellence in Breeding Platform of the Consultative Group of International Agriculture Research Centers (CGIAR). Excellence in Breeding aims to assist breeding teams in various plant and animal species to become more effective in developing improved varieties for farmers in low- and middle-income countries. Currently, the Olsen family resides back in Minneapolis as Carrie receives further treatment. My Linh is a junior at the University of Northwestern-St. Paul, and Hudson is exploring his options in the Twin Cities area. They’re living one day at a time as they enjoy the Minnesota outdoors together with their two dogs. The Department of Biological Sciences prepares graduates like Mike Olsen who are making world-shaping discoveries and understand the relationship between their faith and biology. Through experiences in the lab, field, and classroom, you’ll explore the grand diversity of living things and embrace our call to care for all of creation.